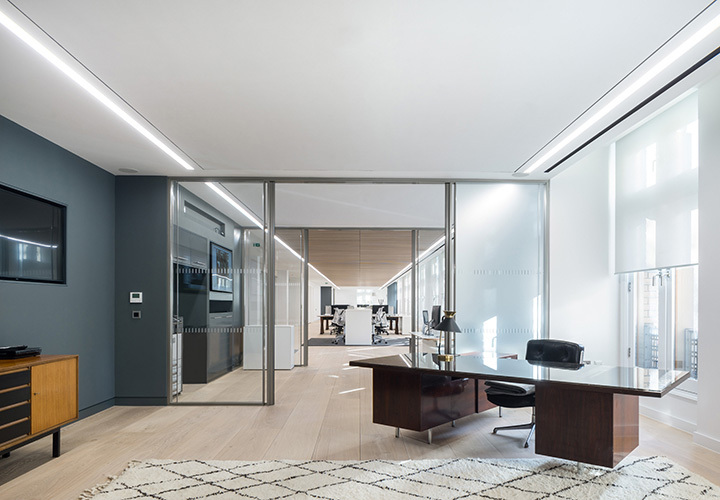 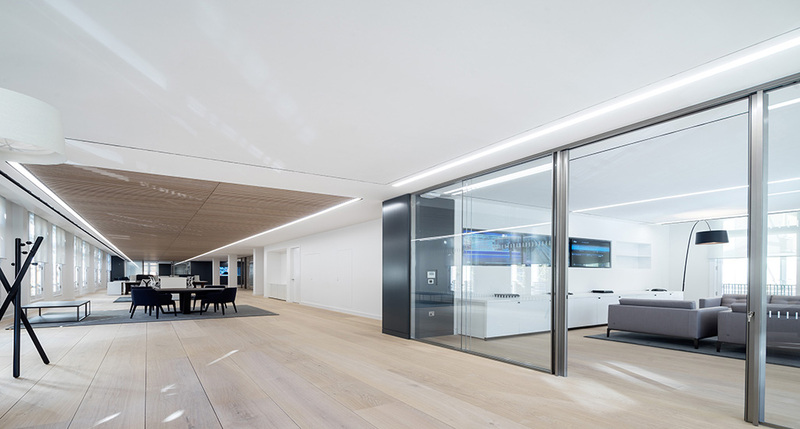 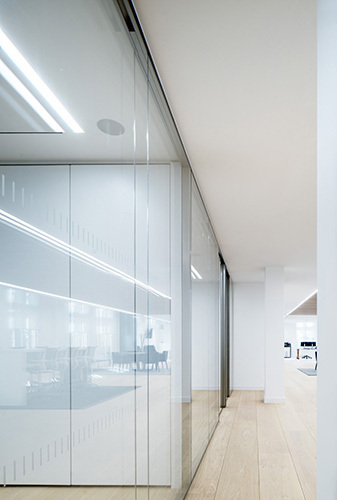 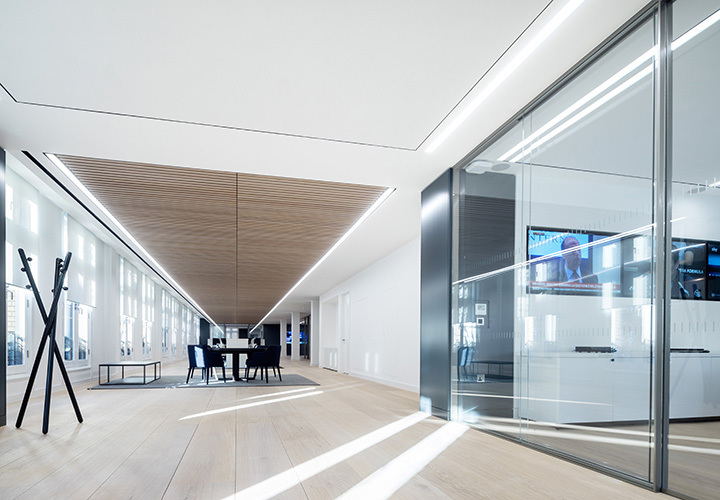 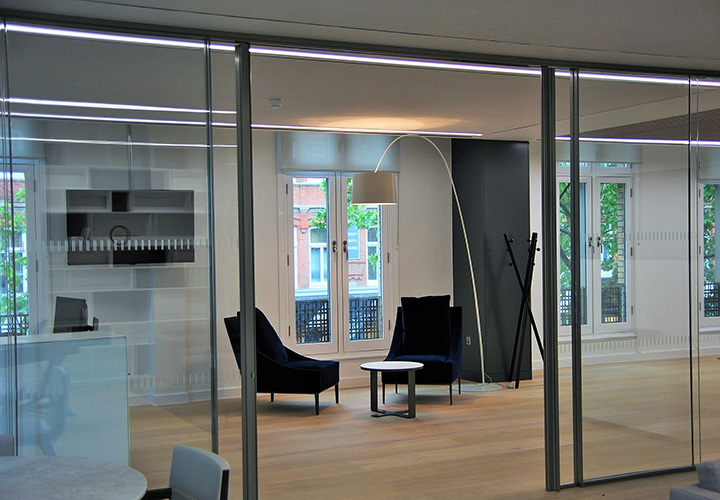 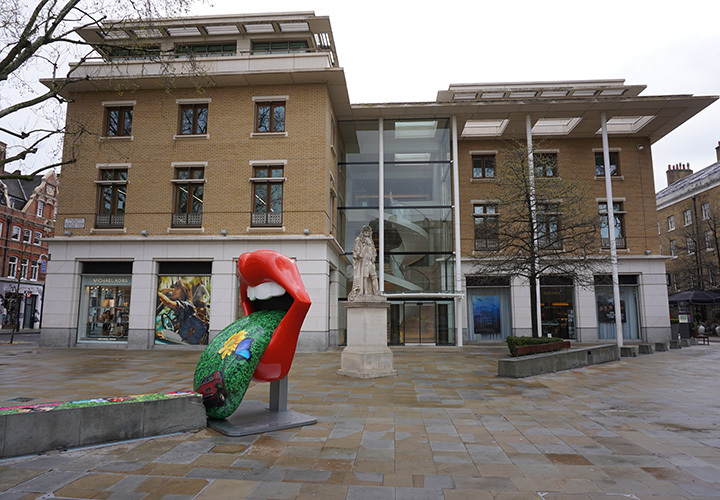 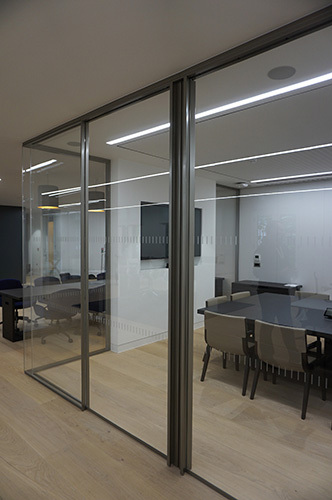 A truly stunning project fulfilling the client’s functional and aesthetic requirements. 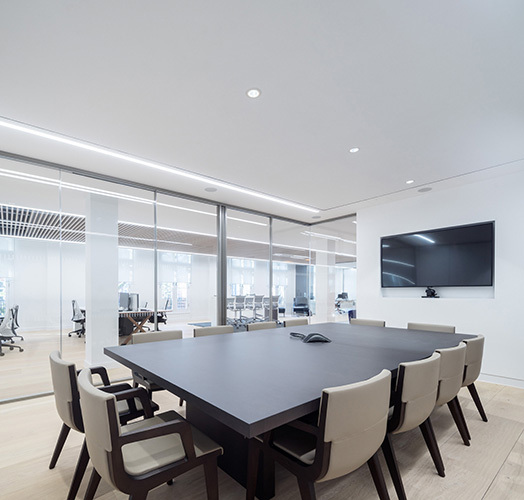 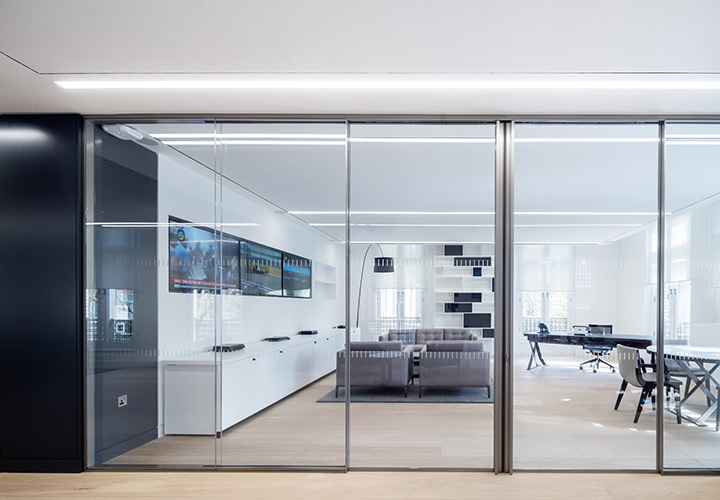 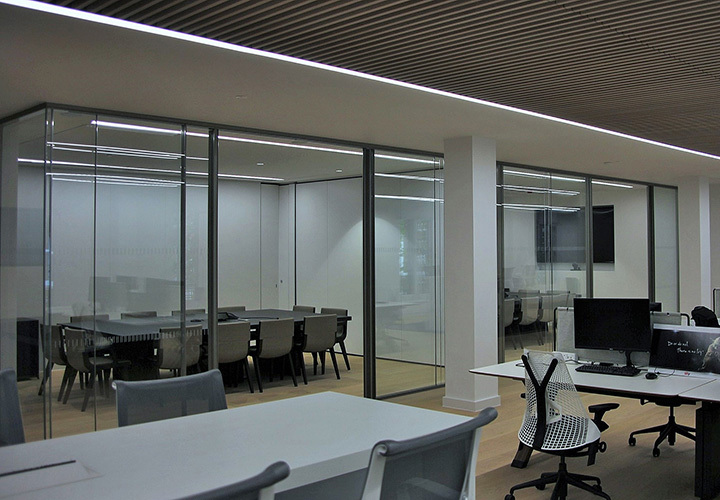 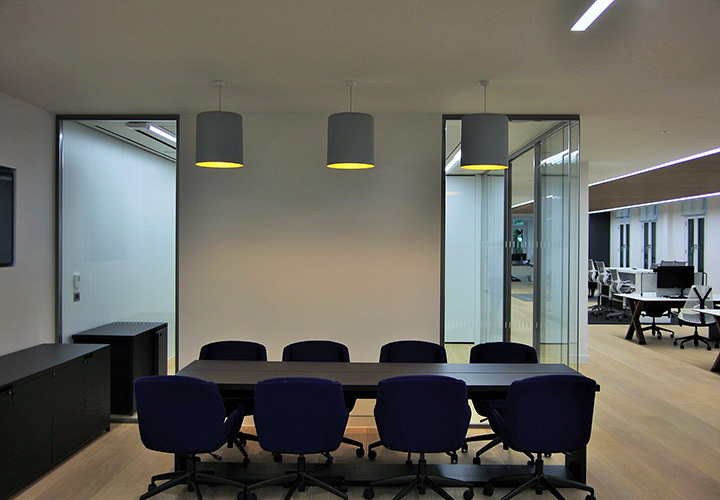 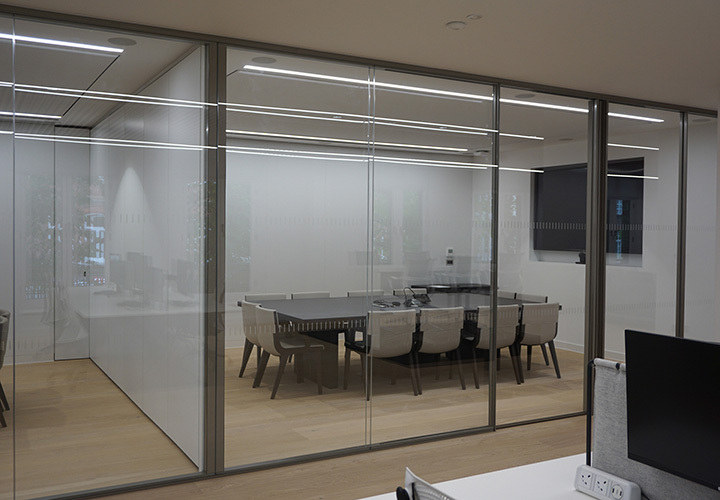 The space, designed by Arup Associates, provides offices, together with client facing and internal meeting rooms along with touch down space. 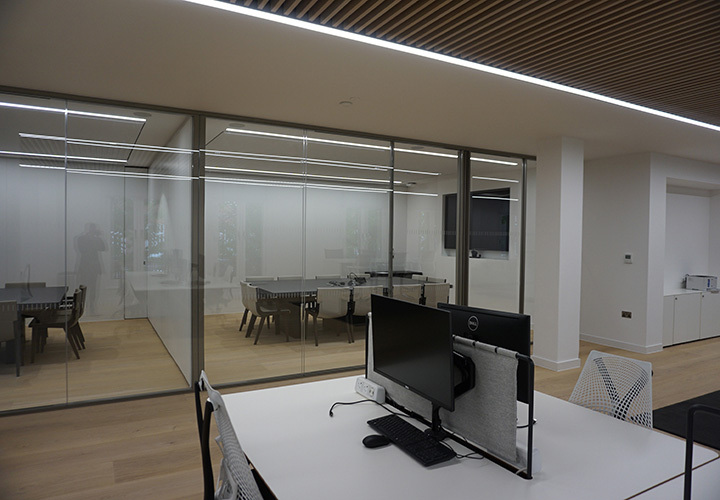 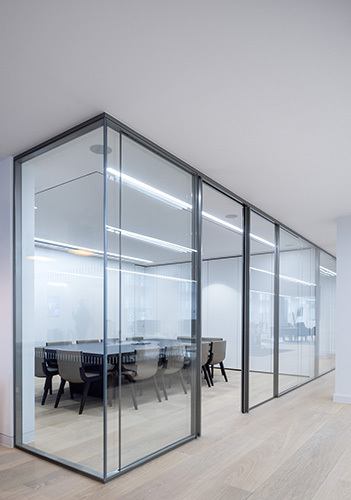 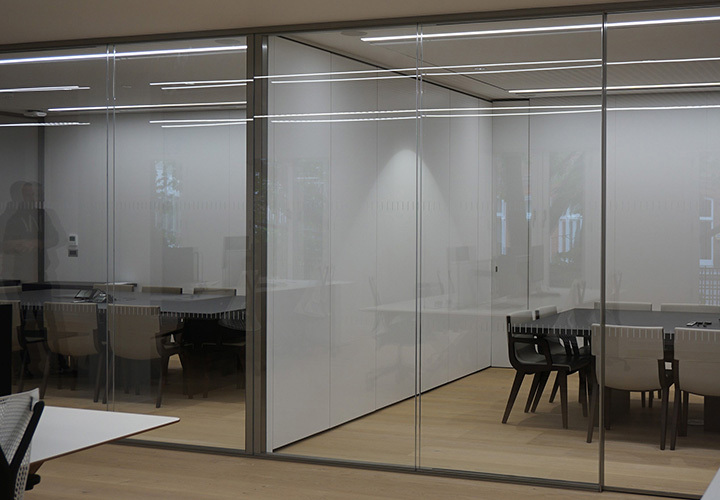 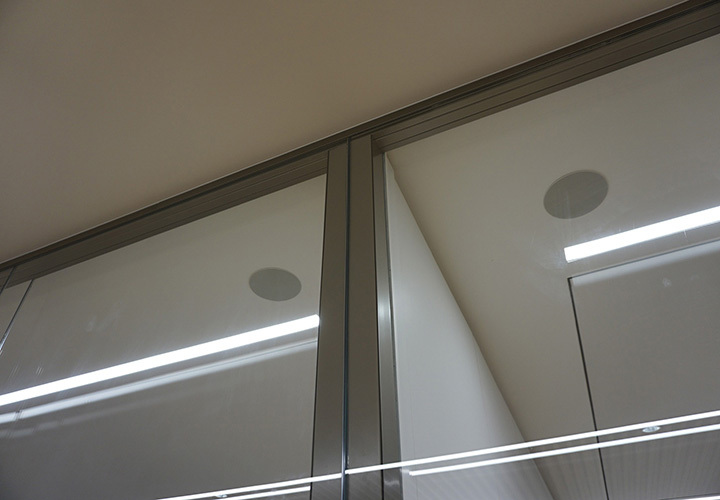 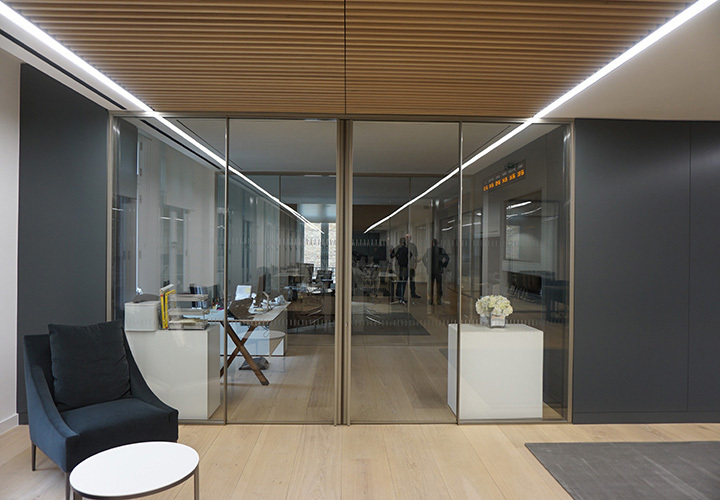 The partitions installed are from the Vista range and comprise double glazed flush bonded frameless glazing using clear low iron glass which gives a high level of clarity above more standard toughened glass. 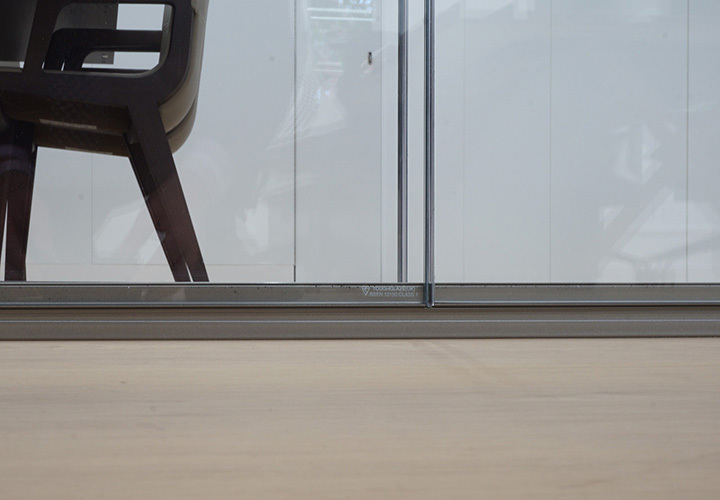 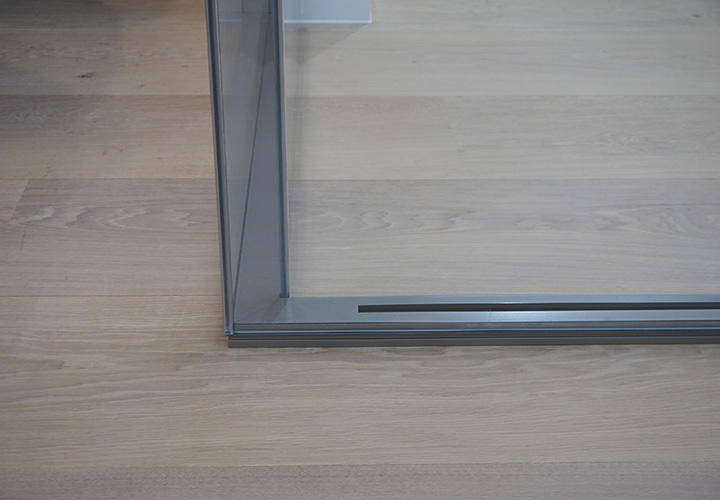 The large double door sets are single glazed and slide centrally within the glazing void. 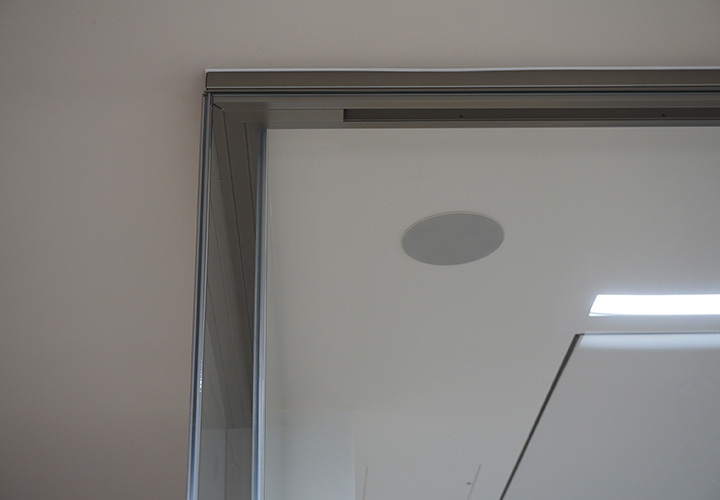 When fully open they allow a clear opening of 2.4m. 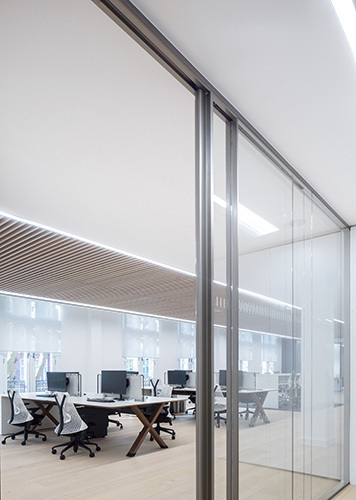 Furthermore the stylish full height pull handles are integral to the leaf and are lockable in a number of locations. 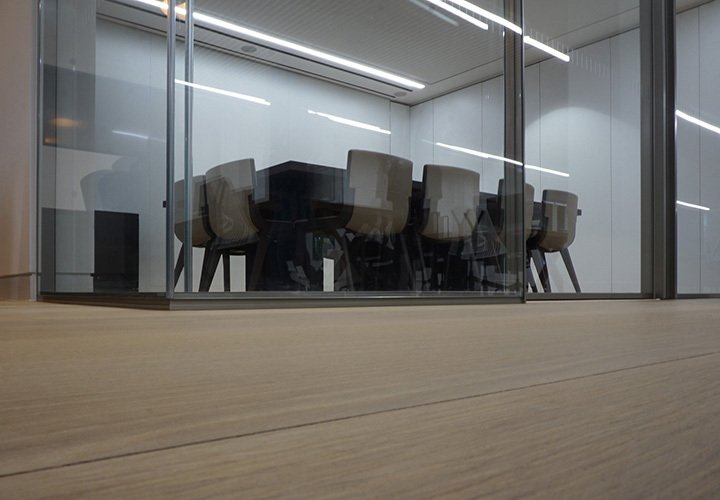 Finish of our sections, in a silver/beige metallic powder coat, was an important consideration to the client team to be sympathetic to the timber floor and furniture.